I was saddened to learn of the death of Donald Hall, former US Poet Laurate, and children’s book writer (The Ox-Cart Man). I knew his work but I never met him. Once, however, when attending a conference in Vermont, I was in the audience when he was speaking. I don’t recall the full import of his talk, but in it he offered a definition of good writing that I have never forgotten. Nor do I know if what he said was something he often offered or if it was something spontaneous. I once tried to search some of his writing for his words, but never found it. As lovely (and challenging) a description of good writing as I’ve ever heard. Thank you, Avi! That was a wonderful gift! 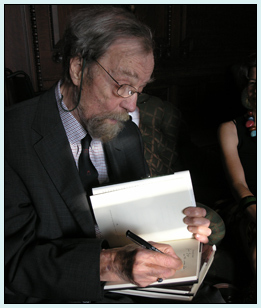 I’ll save your memory of Donald Hall’s thoughts on writing!